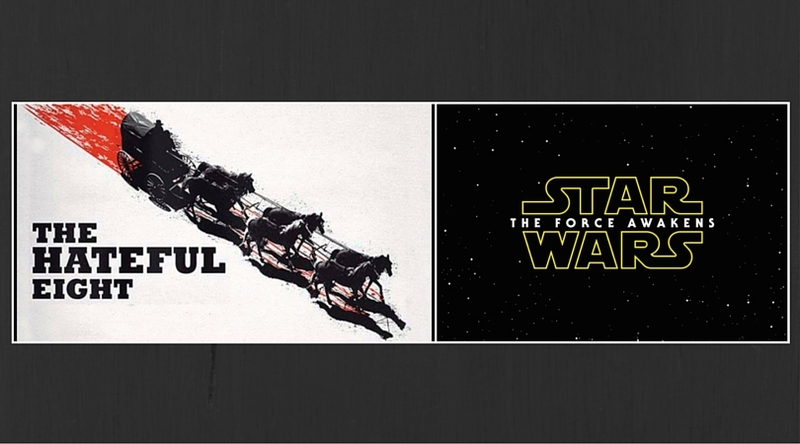 Episode #41 – The Hateful Eight and Star Wars: The Force Awakens | That's a Wrap! In episode #41, your hosts (Erik Marshall, Nick Schlegel and Chris Gullen) discuss Quentin Tarantino’s eighth feature film The Hateful Eight and Star Wars: The Force Awakens. We start with a discussion of Tarantino in general before diving into the film. Spoiler: 2/3 of us loved the movie. In segment 2, we turn into a bunch of salivating fanboys before launching into a slightly more critical stance on the latest in the Star Wars franchise, directed by JJ Abrams. We also talk about children giving spoilers, people trying to retain ownership of things they’ve sold (*cough* *cough* George Lucas), and our upcoming mini-episodes on all of the Best Picture Academy Awards nominees. Nick Schlegel on The Projection Booth. Special Report: Death Game / Knock Knock with Special Guests: Sondra Locke, Larry Spiegel, David Worth. Support us on Patreon or click here before you shop at Amazon.